Brothers Alexander Zverev and Mischa Zverev won their first ATP 250 doubles title together two years ago in Montpellier. This February, they triumphed for the first time at an ATP 500 tournament in Acapulco. The Germans will now try add an ATP Masters 1000 trophy to their collection at the Rolex Monte-Carlo Masters. The Zverev brothers will look to bounce back from opening-round defeats at Indian Wells and Miami as they pursue their third crown as a team. They will need to get past 2017 semi-finalists Romain Arneodo and Hugo Nys in a tough first-round battle. The Zverevs are not the only brothers in the Monte-Carlo draw. World No. 1 Novak Djokovic will join forces with Marko Djokovic in Monaco for the first time, playing fourth seeds Juan Sebastian Cabal and Robert Farah in their opener. The Djokovic brothers made the Doha semi-finals together earlier this year. Last year’s Monte-Carlo winners, Bob Bryan and Mike Bryan, are not defending their title. The team the American twins beat in the 2018 final, Oliver Marach and Mate Pavic, will hope to go one step further in the Principality this year. The fifth seeds face Japanese Ben McLachlan and German Jan-Lennard Struff. Top seeds Pierre-Hugues Herbert and Nicolas Mahut lead the field. The 2016 winners, who completed the Career Grand Slam at this year’s Australian Open, own a 5-2 record at the opening ATP Masters 1000 event of the European clay swing. The Frenchmen will face Dutchmen Robin Haase and Wesley Koolhof in their opening match. 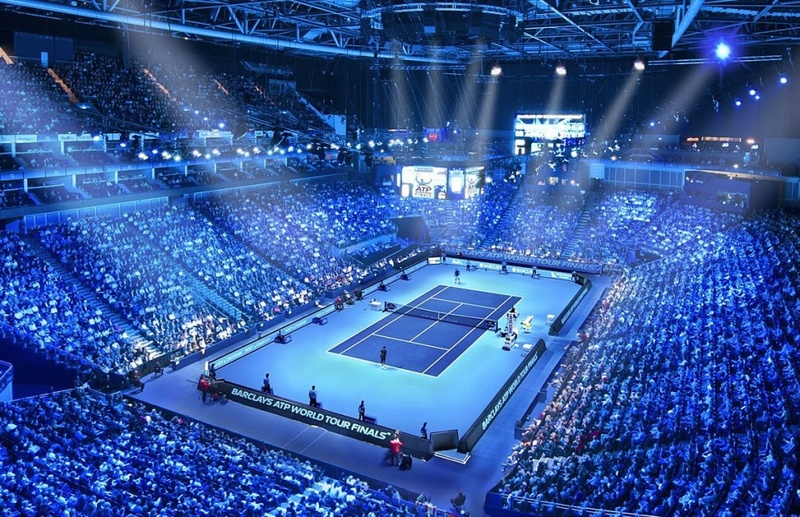 Third seeds Jamie Murray and Bruno Soares, who fell to Herbert and Mahut in the 2016 championship match, headline the second quarter of the draw. The British-Brazilian tandem will aim to secure their second trophy of the season after success at the Sydney International (d. Cabal/Farah). 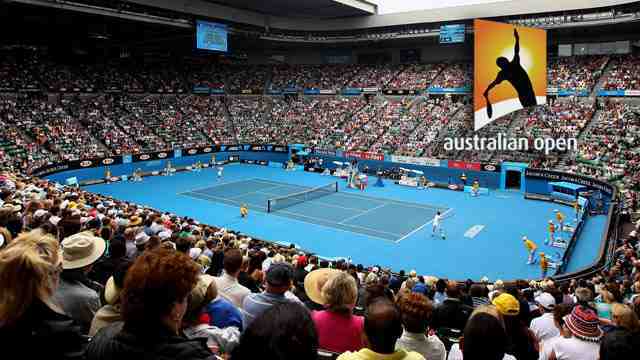 In a blockbuster first-round clash, Australian Open finalists Henri Kontinen and John Peers will open their campaign against Grigor Dimitrov and Stan Wawrinka. In the final section of the draw, the top three players in the ATP Race To Milan will look to make their mark in Monaco. #NextGenATP Canadian duo Felix Auger-Aliassime and Denis Shapovalov will face Marrakech doubles titlist Jurgen Melzer and his countryman, Dominic Thiem, who triumphed at Indian Wells in singles. Reigning Next Gen ATP Finals champion Stefanos Tsitsipas and his partner, Dutchman Matwe Middelkoop, await seventh seeds Nikola Mektic and Franko Skugor. In their third straight appearance at the event, Lukasz Kubot and Marcelo Melo will try to advance past the quarter-finals for the first time. The second seeds open against Spanish pairing Marcel Granollers and Marc Lopez. Christian Garin is continuing to make his mark on the red clay. The Chilean advanced to his second ATP Tour clay-court final of 2019 at the Fayez Sarofim & Co. U.S. Men’s Clay Court Championship in Houston after defeating eighth seed Sam Querrey of the United States on Saturday 7-6(2), 6-2. The 22-year-old was two points from dropping the opening set at 5-6, but held serve and raced through the first six points of the tie-break. As Querrey’s forehand betrayed him in the latter stages of the match, Garin remained dominant on serve. The Chilean won 16 of 19 service points in the second set to advance in one hour and 23 minutes. His road to the final hasn’t been easy. Garin was pushed to three sets in his opening match against Pablo Cuevas of Uruguay and saved five match points to defeat second seed Jeremy Chardy of France in the second round. Garin reached his first ATP Tour final last month at the Brasil Open (l. to Pella). He also finished 2018 with a flourish by winning three straight ATP Challenger Tour titles in South America. Garin was ranked outside the Top 200 of the ATP Rankings 12 months ago, but is projected to move inside the Top 50 if he can take the title on Sunday. He will play #NextGenATP Norwegian Casper Ruud or Colombian qualifier Daniel Elahi Galan in the championship match. Galan completed his rain-delayed quarter-final with seventh seed Jordan Thompson of Australia on Saturday and prevailed 6-1, 4-6, 6-4. Galan, currently No. 241 in the ATP Rankings, continued to take advantage of his qualifying wild card. He upset top seed and two-time defending champion Steve Johnson of the United States in the second round. 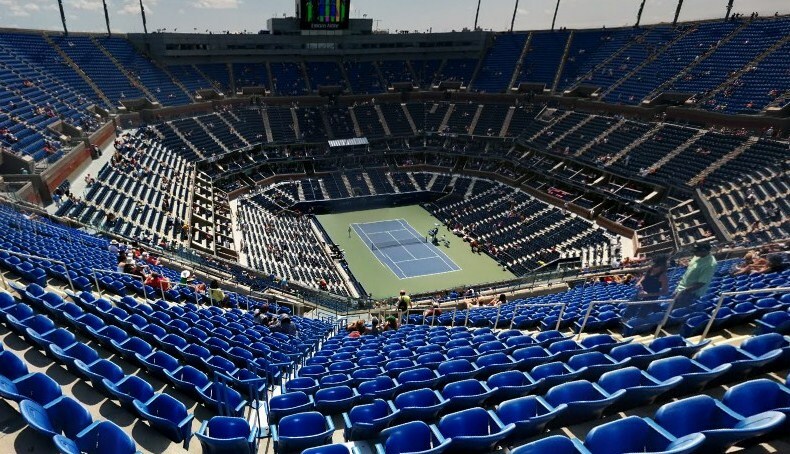 The Rolex Monte-Carlo Masters is the first of three clay-court ATP Masters 1000 tennis tournaments, with the other two stops in May at the Mutua Madrid Open and Internazionali BNL d’Italia in Rome. Rafael Nadal, who made his tournament debut in 2003, will look to add to his record haul of 11 titles in Monte-Carlo and 33 at ATP Masters 1000 tournaments. Novak Djokovic, a two-time Monte-Carlo champion, can match the Spaniard’s Masters 1000 titles mark with victory this week in the Principality. Alexander Zverev, the 2018 Madrid champion, and recent Indian Wells titlist Dominic Thiem are seeded third and fourth, while Kei Nishikori returns as the fifth seed a year after his runner-up finish. Austrian Jurgen Melzer and Croatian Franko Skugor had never played together before arriving at the Grand Prix Hassan II. But they won the title on Saturday, defeating Dutchman Matwe Middelkoop and Dane Frederik Nielsen 6-4, 7-6(6) to triumph in Marrakech. In the quarter-finals and semi-finals, Melzer and Skugor survived Match Tie-breaks to advance. But after getting broken in the first game of the final, they never looked back, saving set point in the second-set tie-break to lift the trophy after one hour and 25 minutes. Skugor now has four ATP Tour doubles crowns. He captured three trophies last year with Brit Dominic Inglot. Melzer now owns 15 tour-level doubles titles with seven partners. Skugor and Melzer earn 250 ATP Doubles Ranking points for their efforts and split €29,650 in prize money. Middelkoop and Nielsen fell short on their team debut, but they add 150 points and a share of €15,200. Melzer also won eight ATP Tour singles trophies, and climbed as high as eighth in the ATP Rankings in April 2011. Frenchman Benoit Paire entered his Grand Prix Hassan II semi-final having never won a set in three FedEx ATP Head2Head matches against countryman Jo-Wilfried Tsonga. But despite Tsonga cruising through the first set and eventually leading by a break in the decider, Paire battled past the former World No. 5 2-6, 6-4, 6-3 on Saturday to reach the Marrakech final, setting a clash against three-time champion Pablo Andujar. Paire is into his first ATP Tour final since 2017 Metz, and he will attempt to claim his second trophy, having triumphed on the red clay of Bastad in 2015 (def. Robredo). In the championship match, he will face a confident Andujar, who dismissed fourth seed Gilles Simon 6-1, 6-1 in just 74 minutes. Last year, as the World No. 355, Andujar became the lowest-ranked ATP Tour champion since Lleyton Hewitt in 1998. The Spaniard was battling back from three elbow surgeries, and he is currently 70th in the ATP Rankings, one spot behind Paire. Andujar and Paire are certainly familiar foes. The Frenchman has won all three of their FedEx ATP Head2Head meetings, but Andujar saved a match point to defeat Paire for the Marbella ATP Challenger Tour title two weeks ago. Former champion Stan Wawrinka and World No. 5 Dominic Thiem took the role of team captains in a fun-filled charity exhibition, to benefit the Monaco Red Cross, at the Rolex Monte-Carlo Masters on Saturday. Alongside Wawrinka on his team of French-speaking players were Lucas Pouille, David Goffin and Daniil Medvedev. BNP Paribas Open champion Thiem was joined by Stefanos Tsitsipas and Karen Khachanov. Team Stan and Team Dominic contested a Match Tie-break which featured a variety of interesting rule changes. 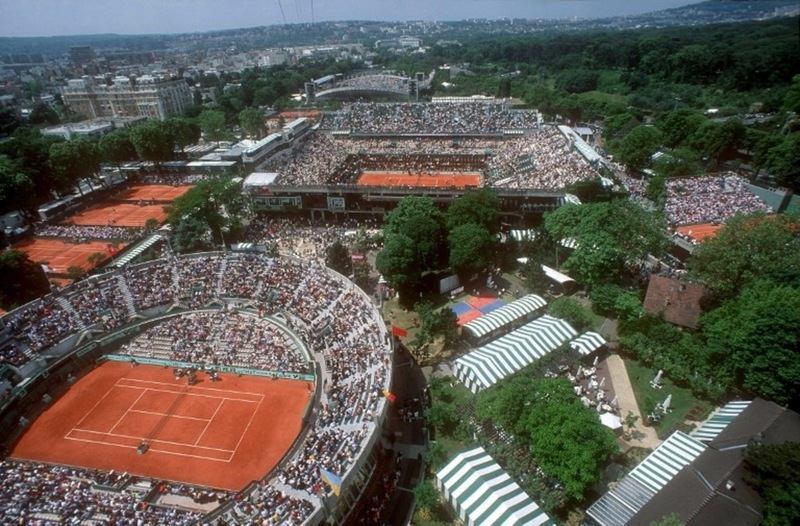 After Pouille and Dimitrov were eliminated in the early stages, a series of two-on-one points took place before Tsitsipas and Medvedev were forced to play left-handed on Court Rainier III. Perhaps due to his experience of playing left-handed at a young age, Tsitsipas managed to get the better of Medvedev in an extended rally. But that would not be enough for his team, which fell to a 10-7 defeat. With two-handed backhands banned on match point, David Goffin overcame Karen Khachanov to claim victory for Wawrinka’s team. Goffin also played a crucial role in the target-based skills game that followed. With players aiming to hit three targets with just three service attempts, Goffin secured a 3-0 win for Team Stan. The 2017 Nitto ATP Finals runner-up was the only player to strike any of the targets. The Rolex Monte-Carlo Masters, the season’s first ATP Masters 1000 event on clay, is almost here. But before we usher in another European clay-court swing, ATPTour.com remembers five highlights from the 2018 edition. Stop us if you’ve read this before: Rafael Nadal won the Rolex Monte-Carlo Masters. By now, you’ve heard or read that line 11 times as last year the Spaniard became the first male to win an ATP Tour tournament 11 times. Nadal also became the outright Masters 1000 titles leader with 31 (he now has 33), breaking his tie with Serbian Novak Djokovic (who now has 32). At the time, Nadal had won a career-best 36 consecutive sets on clay. His flawless run through the Monte-Carlo field marked the fifth time he had won the tournament without dropping a set (2008-10, 2012, 2018). It was a foreshadowing event for the Spaniard, who would continue making history during the clay season. Nadal also won his 11th titles at the Barcelona Open Banc Sabadell (d. Tsitsipas) and Roland Garros (d. Thiem). Another massive clay-court haul helped the Spaniard finish at No. 2 in the year-end ATP Rankings. Kei Nishikori produced the most unexpected result of the season’s first clay-court Masters 1000 event. The Japanese reached his fourth Masters 1000 final – and his second on clay – before falling to Nadal. It was only his second time playing at the event, and two months earlier, Nishikori, still on the comeback from right-wrist surgery, was lifting the trophy at the RBC Tennis Championships of Dallas, an indoor ATP Challenger Tour event. But Nishikori beat Tomas Berdych, Sydney International titlist Daniil Medvedev, second seed Marin Cilic and Germany’s Alexander Zverev to reach his first final since February 2017 (Argentina Open, l. to Dolgopolov). He’d end his season by making his fourth trip to the Nitto ATP Finals, and his first big result came in Monte-Carlo. Bob Bryan and Mike Bryan were the doubles team to beat as the clay-court season began in earnest in the Principality. The Bryans won their second consecutive Masters 1000 title and their 38th overall by knocking off the reigning Australian Open champions Oliver Marach/Mate Pavic. But their season would break down during the Mutua Madrid Open final, when the American twins had to retire for the first time in 1,407 matches as a team because of a right hip injury for Bob. The left-handed twin wouldn’t take the court again until January 2019, but Mike continued their winning ways with Jack Sock, taking Wimbledon, the US Open and the Nitto ATP Finals. And the Bryans are back in form again. While they will not compete in Monte-Carlo, the Americans just won their sixth Miami title. This was progress for Novak Djokovic in April 2018: The two-time Monte-Carlo champion pushed Dominic Thiem to three sets before losing in the third round at his home Masters 1000 event. It was certainly an improvement from where he left off at the Miami Open presented by Itau, losing his opener to Frenchman Benoit Paire. The Serbian, however, had laid the foundation for another record-breaking season. In Miami, he played pain-free for the first time in nearly two and a half years, and in Monte-Carlo, he reunited with longtime coach Marian Vajda. 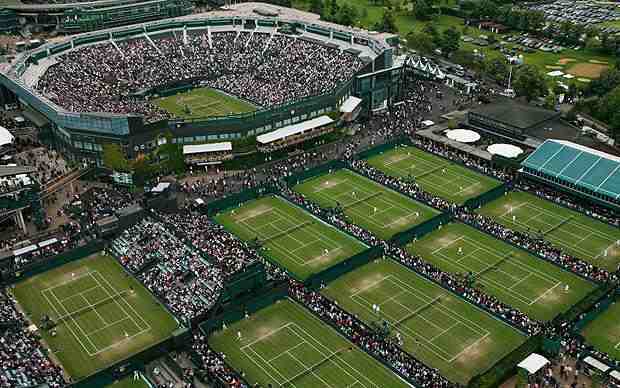 Djokovic reached the Fever-Tree Championships final and won Wimbledon in July to show the tennis world he was back. He’d climb from No. 22 to No. 1 to finish at the pinnacle of the year-end ATP Rankings for the fifth time (2011, 2012, 2014, 2015, 2018). Zverev didn’t take home another Masters 1000 title on clay, but the German was showing close to his best level as the European clay-court season began. Zverev made the semi-finals in Monte-Carlo (l. to Nishikori) and improved to 17-7 on the season. He’d bring that form the rest of the clay-court stretch as well. Zverev repeated as champion at the BMW Open By FWU in Munich, won his third Masters 1000 title at the Mutua Madrid Open (d. Thiem) and made his first Grand Slam quarter-final at Roland Garros.